SPECIAL DEAL FOR A SPECIAL PARTY! If you are in your 60s (or thereabouts) and have a special birthday coming up this your or next, we have a special deal for you. Book Jurassic Rock before the end of 2017 and we will reduce our charge to just £250 plus travelling expenses. Your party does not have to be this year, all you have to do is book us before 31st December 2017. Make sure your special birthday party goes with a swing by booking the band that specialises in the music you know and love. 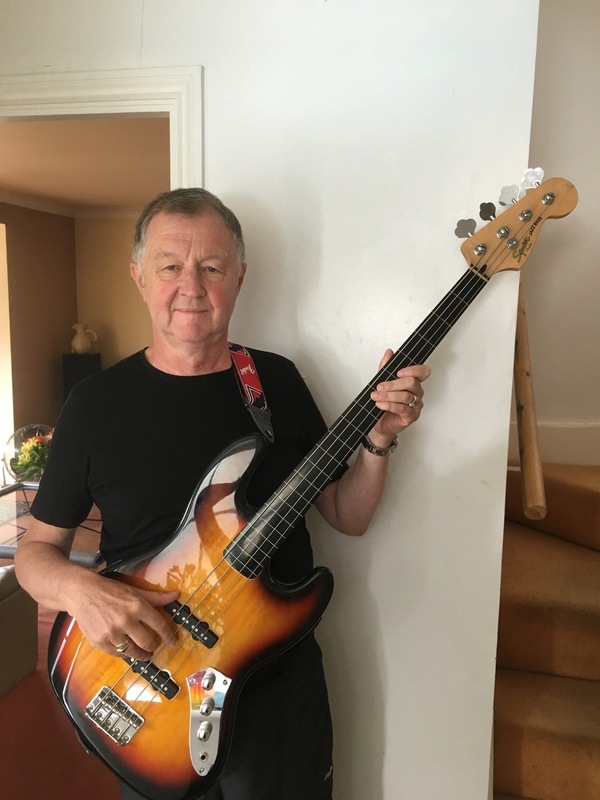 We are delighted to announce that Ian McNorton has joined us as our new bass player. After Yeti had to leave at the beginning of the year, we needed to find someone a bit special to replace him. I spoke to Ian early in the year, but we were unable to do much more whilst I sorted out my new knee. As I am now up and running, we have been rehearsing with Ian for a couple of months and are pleased to announce we are now gig ready. 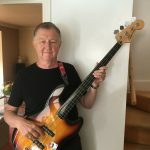 We are lucky to have found Ian as he not only has a wealth of experience, he has blended into Jurassic Rock extremely well imparting his own take on our numbers and introducing a few of his own whilst we retain the essential Jurassic Rock vibe and sense of fun. For more information on Ian, click here. In addition to having to find a new bass player, Tony has had a new knee. The combination of these 2 means we have not been able to play gigs for the last few months. We have used this time to take a close look at our play list and we have decided we would like to revamp it and we are now planning a fresh, slick, well rehearsed, entertaining, exciting, vibrant show comprising driving rock ‘n’ roll full of movement, fun and dynamics to provide a memorable performance and ensure a good time for all. Use the contacts tab to get more information or to book this new, exciting show.